It is that time of year when we celebrate the graduate fashion talent we have in the UK. 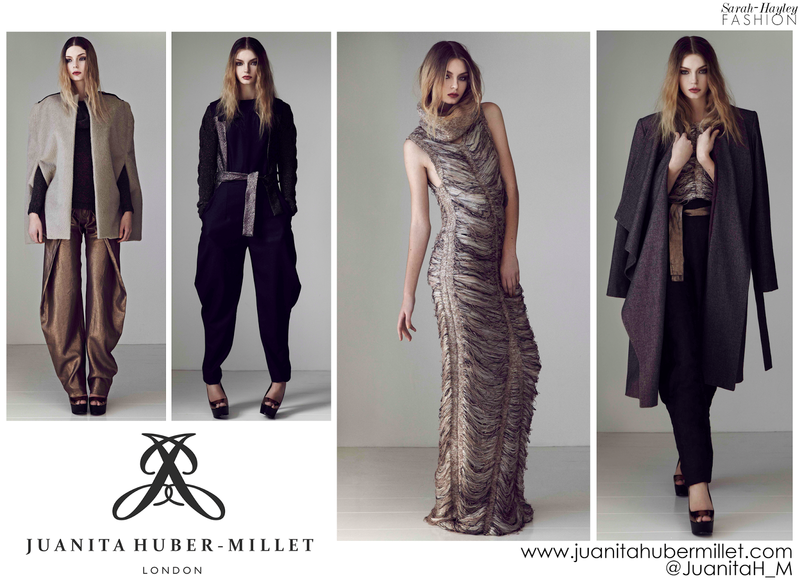 This month's profile is on Juanita Huber-Millet, who graduated from Istituto Marangoni and was selected to represent her university at Graduate Fashion Week. Juanita, originally from Hampshire, is a British/Swiss fashion graduate based in London and trained as a ballet dancer, at a vocational dance school, before swapping her pointe shoes for full time fashion. Juanita’s graduate collection is inspired by the natural power of opposites, drawing particular attention to their magnetism and how, despite their differences, opposites attract. During her research Juanita investigated the topic of hermaphroditism, an example of one of the most intriguing examples of dualism found within nature. Juanita explored society’s reaction to hermaphrodites which also contrasts, from fascination, desire and intrigue, to fear, disgust and hate. To illustrate this research, an important part of Juanita’s design process was to produce two bespoke knits for the collection, symbolising twisting forms; unique threads connecting and entangling to create a thing of beauty. Juanita's signature style focuses on the relationship between design and function, creating pieces which combine voluminous shapes with wearability to produce utilitarian garments which attract attention although wearable everyday. My favourite piece within the collection is the earthy, viscose blend with metal thread, jumpsuit. To see other pieces from Juanita's collection take a look at her pinterest page where her collection can be seen in its entirety.